Are modern stunt-cycle and skateboard games just too vanilla for you? Fret not! According to developer Owen Goss, Milkbag Games’ Futuregrind will be sliding onto Nintendo Switch eShop sometime in the future. Take control of super futuristic hoverbikes and grind across multiple rails of the correct colors! Check out the original teaser trailer below. Nail the perfect line in the future’s most challenging stunt sport! Grab your bike and hit the rails in FutureGrind. 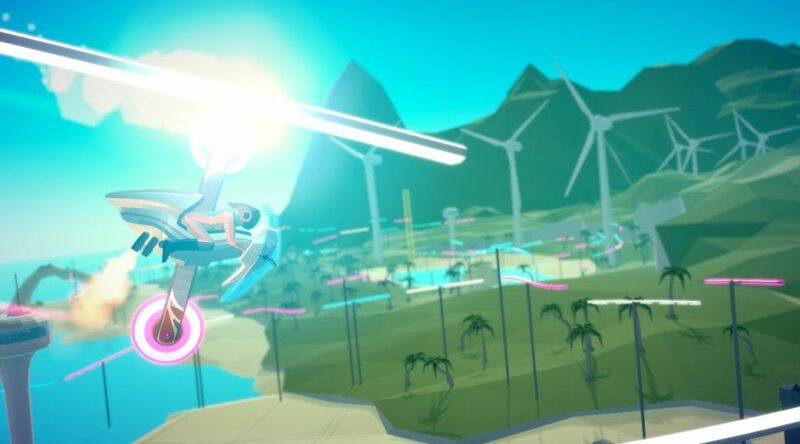 FutureGrind is a stylish stunt-racer all about tricks, skill, and speed. Use your futuristic motorcycle to do crazy combos on tracks made of floating rails, but be careful: If you touch the wrong rail you’ll explode! Only skilled players will earn endorsements from The Sponsors and make a name for themselves.